TheWrap reports that E! has cancelled Hello Ross after two seasons. While there won’t be a third season of the Ross Mathews series, the host is not leaving the cable channel. Mathews, Maria Menounos, and Jason Kennedy will co-host Live From E! which will feature light-hearted discussions of pop culture and celebrity news. The series began online and then started airing on Monday nights. Starting September 8th, the program will air Mondays, Tuesdays, and Wednesdays at 8pm. Los Angeles, CA – August 12, 2014 – “Live From E!,” the fast-paced, roundtable series that delivers a unique take on the most talked about entertainment and pop culture news through a lively panel-driven conversation, is expanding to three nights a week, it was announced today by Cyndi McClellan, President, Network Strategy & E! News, E!. The series will be hosted by Jason Kennedy, Ross Mathews, Maria Menounos and one additional rotating panelist, as they bring fans celebrity news and gossip through the series’ trademark off-the-cuff commentary and animated debates. Introducing new branded segments, added viewer-response driven social features, and a more intimate take on the up-to-the minute stories that people are, or will be, talking about, “Live From E!” delivers a fun, unique and interactive show. The program originally debuted as a daily web series on Eonline before crossing over to television one night a week. “Live From E!” is resonating with the network’s pop culture audience, advancing quarter-to-quarter across all demos by strong double-digits including Adults 18-34 (+34%), Women 18-34 (+29%), Adults 18-49 (+31%), Women 18-49 (+25%), Total Viewers (+13%) and Households (+13%). The popular series will now begin airing Mondays, Tuesdays and Wednesdays each week beginning September 8th at 8:00pm ET/PT only on E! “Live From E!” features a breakdown of the news and latest celebrity videos and photos through candid conversation. The half hour series opens with our co-hosts taking a closer look at the top three stories trending in the headlines at that moment – each bringing their own personal opinions into the discussion for an animated and entertaining debate. Given the live format of the show, the co-hosts can also respond and react to viewer tweets as the dialogue continues, or cut to a relevant event that is happening at that moment. The series then takes a look at more pop culture and celebrity news with new branded hot topic segments that allows for more real-time viewer interaction. In addition to “Live from E!,” Jason Kennedy can also be seen on “E! News” weeknights and hosting “E! News Weekend” Saturdays and Sundays. 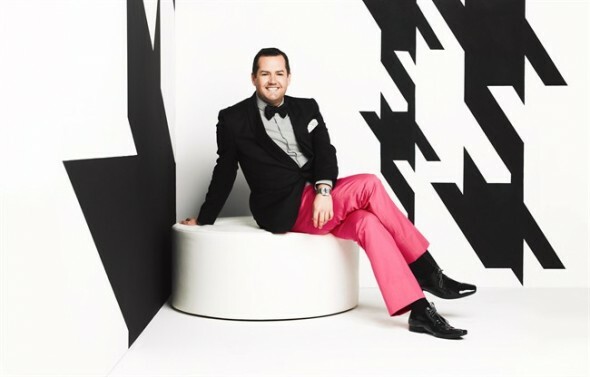 Additionally Ross Mathews will be on the red carpet for E!’s “Live From the Red Carpet” coverage of the 2014 Emmy Awards on Monday, August 25th alongside Giuliana Rancic. And Maria Menounos also serves as host of E!’s original newsmagazine series “Untold with Maria Menounos.” The next installment premieres on August 28th at 8:00pm ET/PT featuring segments on electronic dance music (EDM), celebrity stalkers and reality rags to riches stories. What do you think? Did you watch the Hello Ross series? Have you seen Live from E!? More about: Hello Ross, Hello Ross: canceled or renewed?